Sunreef Yachts will exhibit its most popular yacht model, the Sunreef 62 Sailing, at the incoming HAINAN RENDEZ-VOUS in 1-4 April 2011. The boat was delivered to its Chinese client in November 2011 and her permanent location is Sanya, Hainan. 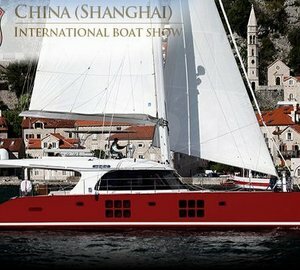 Sunreef Yachts will be exhibiting in conjunction with its exclusive broker for China, Speedo Marine. The successful cooperation between two company’s results in a strong promotion of the Sunreef brand in China and first sales concluded a year ago. 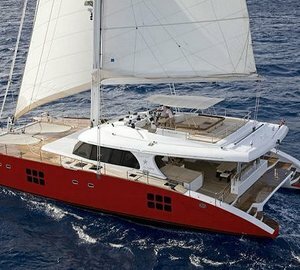 Soon more luxury catamarans will sail on Chinese waters. Sureef Yachts will also be participating in two forthcoming Spring boat shows in the South of France, namely, the Antibes Yacht Show 7-10 April 2011 and the multihulls show in La Grande Motte 14-17 April 2011. 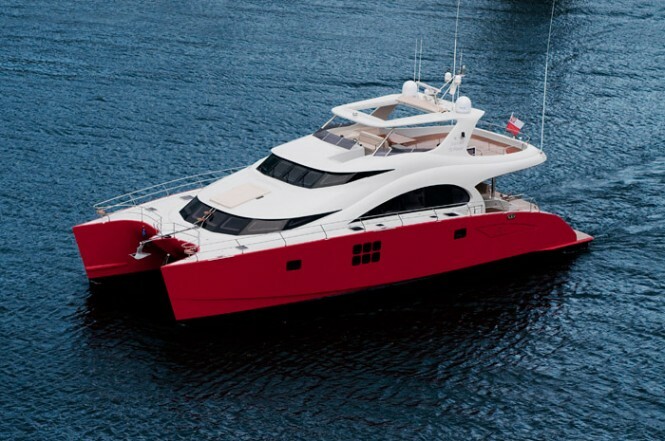 The shipyard will display its luxurious power catamaran, the 70 Sunreef Power ABUELO, with stunning red hulls and exclusive owner version layout. 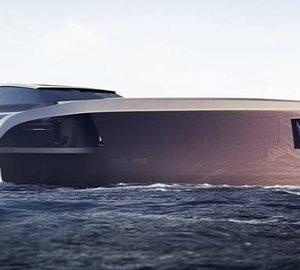 This yacht is available for charter this Summer in the Mediterranean. Please contact CharterWorld - the luxury yacht charter specialist - for more on superyacht news item "Sunreef Yachts to attend Hainan Rendez-vous, Antibes Boat Show and La Grande Motte".